Besides well-known tourist destinations such as Volgograd and Kazan, the central and southern basin of Europe’s greatest river hides some little-known gems that bear witness to Russia’s astounding cultural variety. RBTH has selected three that are worth a visit if traveling in the region. How to get there: From Moscow or St. Petersburg there are daily flights to Kurumoch, Samara’s recently renovated airport; from nearby Tolyatti you can take the bus to Zhigulyovsk and proceed from there to Shiryaevo. However, the best way to reach Shiryaevo is by boat along the Volga: from Samara’s river port there are regular connections twice a day taking 2.5 hours, but there is a 40-minute fast boat on weekends. 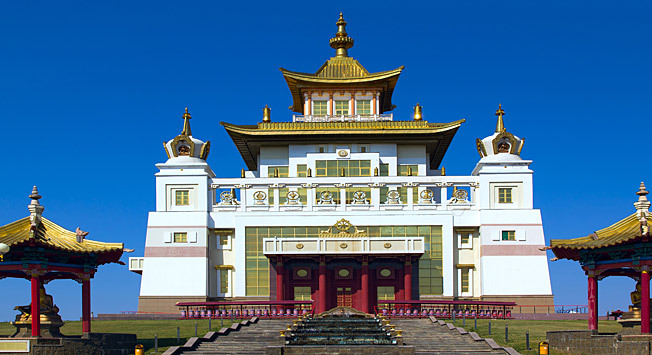 Daily excursions are organized by local tour agencies in Samara and Tolyatti (from 900 rubles or $18). Located in the heart of the beautiful Samara Bend, Shiryaevo (840 kilometers from Moscow) is the quintessential embodiment of a 19th-century Russian village. Located in a gorgeous valley at the foot of the Zhiguli Mountains on the right bank of the Volga, it doesn’t come as a surprise that painter Ilya Repin came here in search of inspiration. In 1870 Repin spent a few months in this tiny village to become acquainted with the atmosphere of authentic Russia. It was here that he set his famous painting “Barge Haulers on the Volga” (1870-73). The wooden house where he lived is now a part of a museum complex. Since 1999 Shiryaevo has also been hosting the Biennale of Contemporary Art, an international event that transforms the village and its surroundings into an open-air space for exhibitions. The main parts of the festival are the art laboratory, a two-week period when the residents share their houses with artists, and the Nomadic Show, when all participants present their works. In 2015 it will be held from August 10-September 27.